Part 2 of our Guide to Physician Recruitment focuses on site visits. How you execute a physician site visit has a huge impact on the decision of your candidate. This recruitment guide has tips that will help you prepare for site visits. You can view or download the entire guide for free. 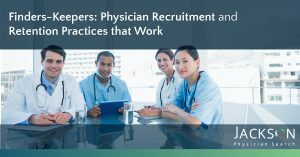 Part 1 is our guide to developing a strategic physician recruitment plan. 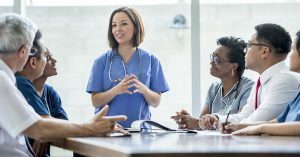 Physicians and their families have unique needs when considering a career move or new practice setting. A personalized and refined physician site visit is essential. Do everything in your power to target the type of physicians who would appreciate your unique characteristics. Present your community and facility favorably. Control the sensory-emotional experience you deliver, from the very first contact to the final follow-up, and every touch in between. The organization will have a healthier interview-to-hire ratio, faster time-to-fill, higher acceptance rate, and lower recruitment expenses. Once a physician identifies your location, they focus on fit. Gain insight into how involved they will be in the decision. Explore the family’s needs with open-ended questions. Key time to determine cultural, operational and philosophical fit. “Secret Sauce” that differentiates hospitals and facilities who recruit successfully from the rest. Opportunity to create a feeling of familiarity that permeates the entire interview process.